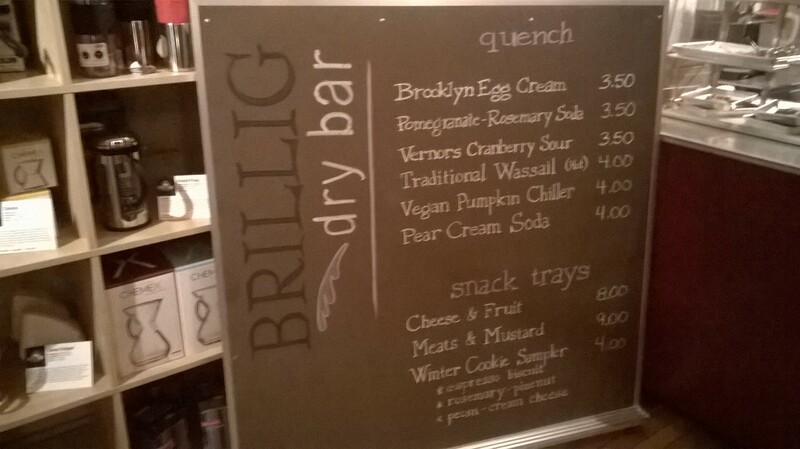 Tonight, Ken & I went to a very cool, very Ann Arbor thing: the Brillig Dry Bar. It is what you think it is–a bar without alcohol. Yet it had the exact same atmosphere as a bar–nice lighting, snacks, live music, and fun! Right now, the Broken Egg restaurant occupies the two buildings on the right. It is one of my personal favorite breakfast spots; they decorate the interior every month to coincide with the holiday or season, and their omelettes are very good. Mighty Good/Brillig are just to the left of the Broken Egg (in the Pardon building on the left [with the tree in front of it], and the building next to that). I haven’t yet discovered what was in the 217 building…does anyone know? 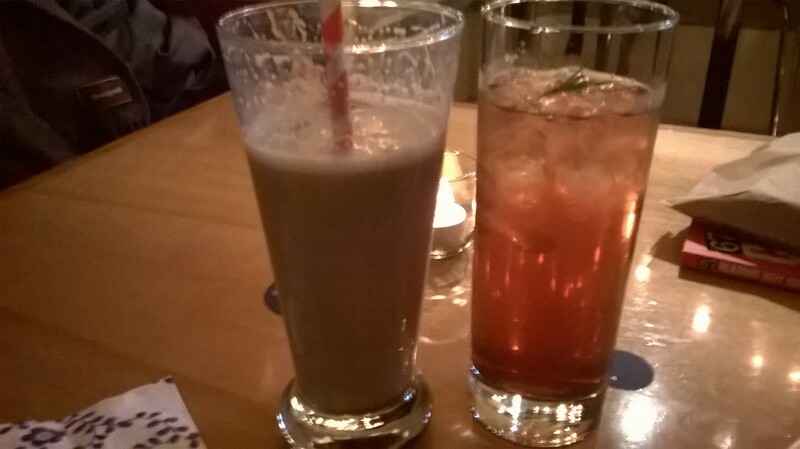 The picture below is of Brillig’s drink board; Ken had the rosemary soda and I had the Brooklyn Egg Cream. The building still has a lovely tin pressed ceiling, which I (of course) didn’t think to take a picture of. Thanks to the internet though, I do have some information about the Pardon block! Charles Pardon built his block in three separate stages, starting with the northernmost part (223 N. Main Street) in 1894. It is unclear if the other two addresses were built at the same time–the portion at 219 N. Main Street has a stone that says “1899” while the 221 N. Main portion simply says Pardon Block. Charles Pardon operated a butcher’s and “provisions” store in the corner space. After adding a line of groceries to his store, he expanded to the second storefront. Meantime, his brother Frank had a bakery at 219 N. Main. This is part of the coffee house/Brillig space today! 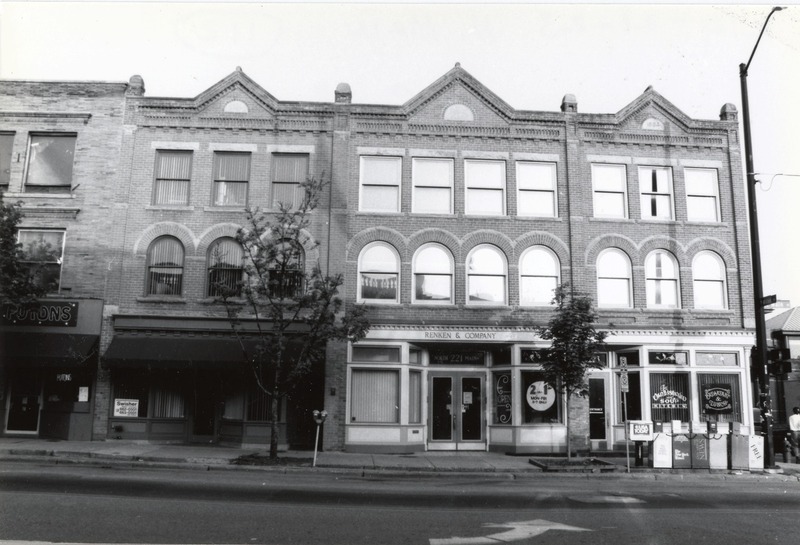 Even after 100+ years, good food and drink can still be found at the corner of Miller and Main. Charles Pardon would be proud! So cool! I definitely want to go to the next dry bar event.